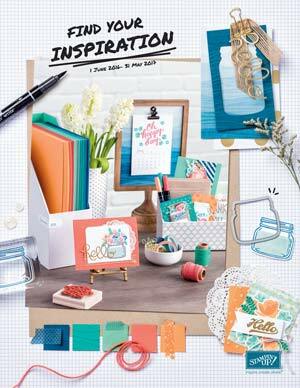 The new Occasions catalog is out and as always, there are lots of cute stamp sets. One of the sets that immediately caught my eye was "Celebrate Today" which is very versatile for all kinds of occasions beyond birthday. It contains sentiments for graduation, wedding, baby and general celebrations. And there are coordinating framelits so you don't have to cut freehand. 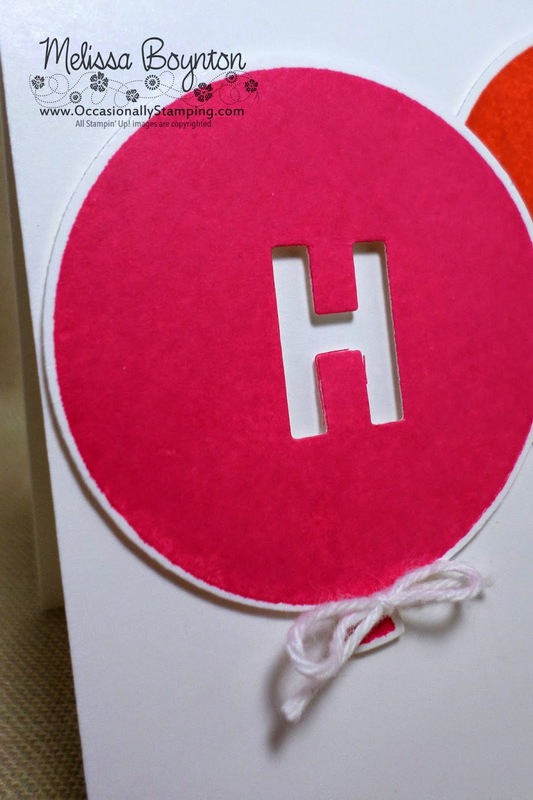 This card is a fun Happy Birthday card with bright colors. I used Strawberry Slush, Tangelo Twist, Daffodil Delight, Wild Wasabi and Tempting Turquoise inks to stamp the balloon image. 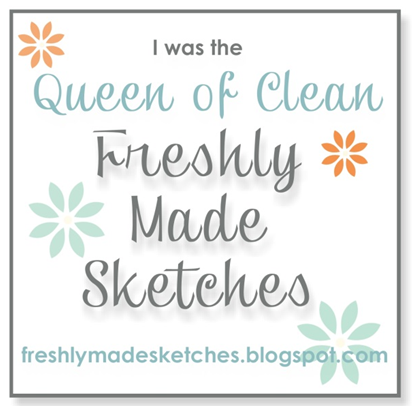 The birthday sentiment is from the My Paper Pumpkin kit for January. 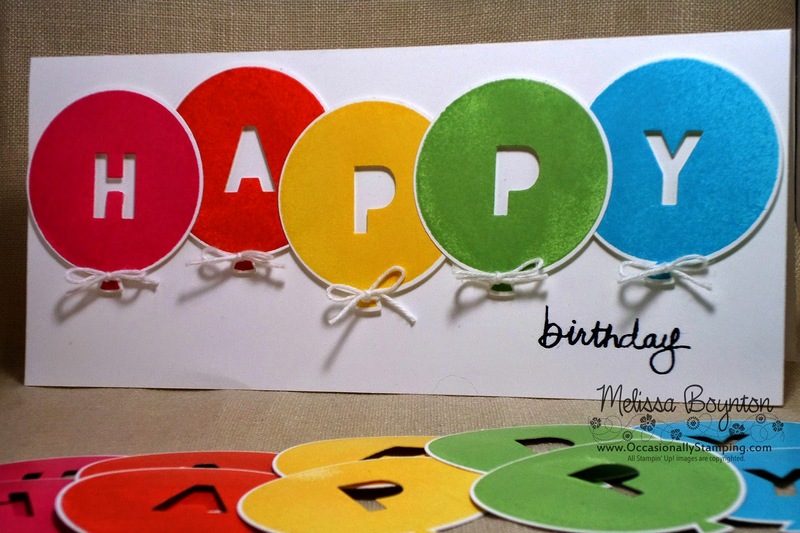 Using a Basic Black Stampin' Write marker allowed me to just color in the "birthday" part of the stamp. After stamping all the balloons and die cutting them using the Balloon Framelits die, I used the Little Letters Thinlits dies to cut the letters out of each one. The balloons are then attached to the card which is 4"x 9" with dimensionals. And finally, tied a bit of White Baker's Twine to the end of each balloon. It was fun to use a card size that is outside what I typical do.